Okay, here we go. Now we're getting to it! I apologize for the spotty posts. I've felt nine kinds of rotten for the past few days. But I think I'm now over the worst of it. ...just kidding. I'm not doing NaNoWriMo this year. No way! I've got to finish this story. This is better than some lousy speed-written novel any day. P.S. 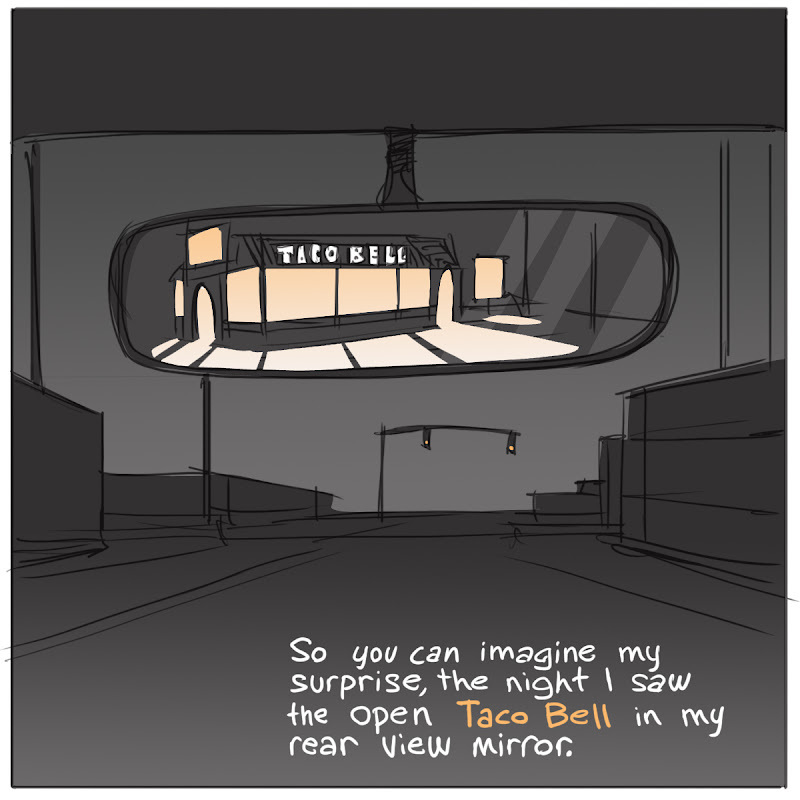 I hear that Taco Bell gong go off when you see it in your rear-view mirror! Woops! I just realized the letters should be reversed if it's in the mirror. This is getting interesting. I am doing NaNoWriMo this year. There is no way on Earth that I'll finish. Spooky November is cool in my books(okay it's never mentioned but if it were I know it would be cool). Good luck to Dana on NANOWRIMO and everyone else doing it! Stay positive! I thought the letters were NOT backwards on purpose as a suspense element you were going to capitalize on later...sometimes a mistake is serendipitous.